While the holidays are a joy for many of us, it’s important not to get too distracted from year-end planning. Now’s the time to talk to your advisor about taking advantage of tax-deferred growth opportunities, tax-advantaged investments, charitable-giving opportunities, and other available strategies. 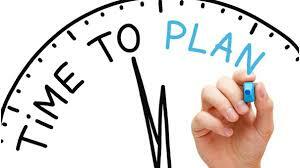 Discuss year-end planning: Talk to your advisor, CPA, and or attorney to address year-end financial and tax planning. Adjust your coverage: Talk to your property and casualty agent about your homeowners’ insurance policy. Many of our homes have substantially increased in value through the years – make sure your insurance coverage reflects this. Check cost of living: The Social Security Administration typically announces next year’s cost-of-living adjustment in October. In January of next year benefits will increase 2%. You can also find that information on their useful website – www.ssa.gov. Here is a link to the recent press release – https://www.ssa.gov/news/press/releases/2017/#10-2017- 1. Consider retirement: New retirement plan contribution limits come from the IRS. Plan to adjust contributions appropriately and, don’t forget about the catch-up provision if you are over 50. Although in 2018 the IRA and Roth IRA limits remain at $5,500 ($6,500 with catch-up), company sponsored plan limits will increase by $500 in the New Year (i.e. $18,500 and $24,500 with catch-up). The total DC plan increases to $55,000 ($61,000 with catch-up) – a shot in the arm for consultants, self-employed, small business owners, and workers who have the option of filling their retirement stash with after-tax greenbacks. Set financial goals for 2018: Reassess all future financial goals (e.g. College funding for kids or grandkids, saving for your dream home, retirement savings or retirement spending) and work with your advisor to make adjustments, if needed. campaigns and exorbitant overhead, and not enough to the cause. So how do you know if a charity is doing right by your donation? Forbes.com reports that charitable giving grew 4.9% in 2013, with digital donations making up 6.4% of the overall amount. And with households giving an average of 1.9% of their after-tax income each year, according to an annual report conducted by the Indiana University Lilly Family School of Philanthropy, it can be important to make sure your dollars are used effectively to make a difference. Guidestar.org contains records from 1.8 million nonprofits registered with the IRS, with access to each organization’s Form 990, a document that details nonprofits’ income,spending, mission and executive salaries. The Better Business Bureau Wise Giving Alliance generates free reviews of more than 1,300 charities every two years. Local BBB websites provide evaluations on an additional 10,000. CharityNavigator.org provides ratings (four stars being the highest) on the charities it follows, based on financial health, accountability and transparency. Of the three websites listed here, this is widely recognized as the easiest to navigate and understand. Of course, the best way to get to know how a charity works is to spend time with it. By volunteering, you will be privy to an insider’s view of the organization’s people, practices and impact – and feel confident that your money and time can truly make a difference. Consider taking the kids with you and creating a family charitable tradition you can pass down through the generations. You may see firsthand the value and effectiveness of your charitable gift at work. If you have questions regarding financial planning or investment management, give Garry a call at 858-450-9711 or email at garry@kachkovskyandfisher.com. Kachkovsky & Fisher is a Registered Investment Advisory Firm. This information is general in nature, is not a complete statement of all information necessary for making an investment decision, and is not a recommendation or a solicitation to buy or sell any security. Investments and strategies mentioned may not be suitable for all investors. Past performance may not be indicative of future results. Investors should consider the investment objectives, risks, charges and expenses associated with savings plans before investing.